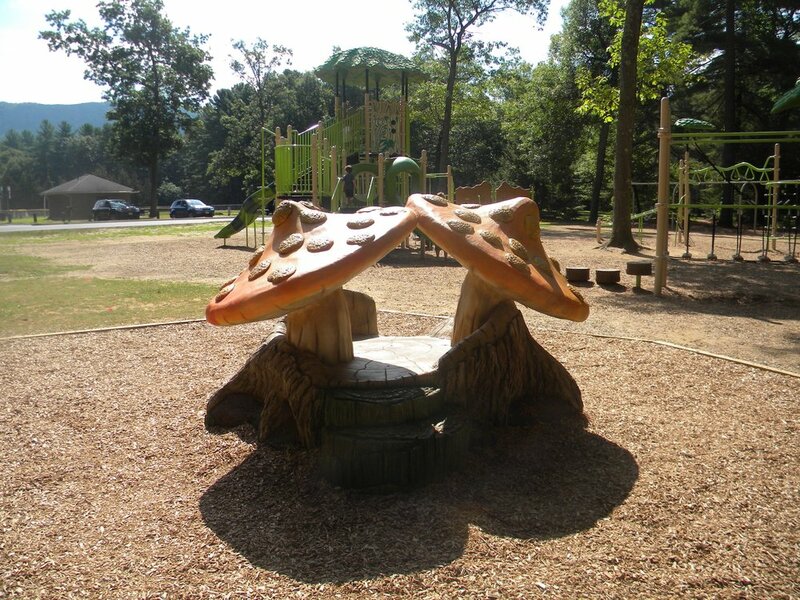 Premier Park & Play designed and built a brand new playground with a forest theme for Nonotuck Park in 2014. 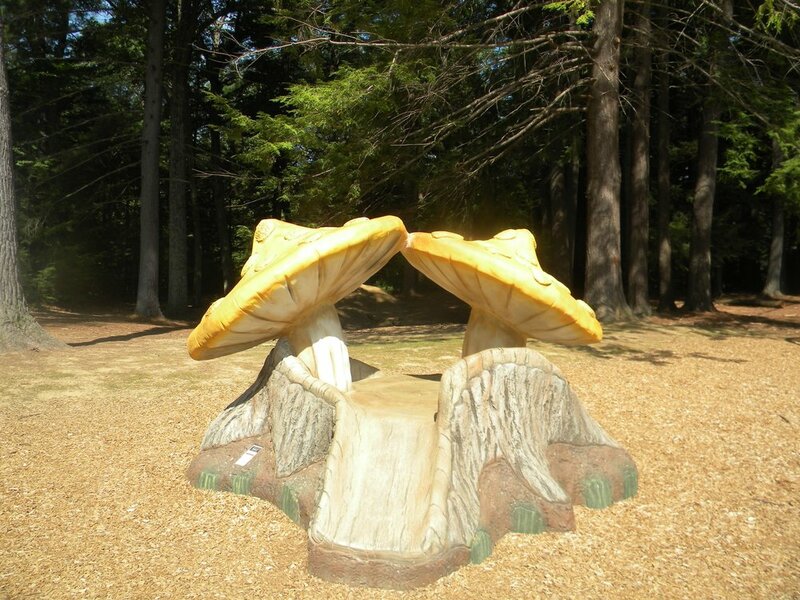 There is a large wolf-like play structure with a slide running down its middle, slides covered by giant mushrooms, a tree house, swingsets (one with an ADA swing), climbers and plenty of room to run. The wood fiber mulch playground surfacing provides a natural and eco-friendly playground surface that protects kids from fall injuries. The transformation of the Nonotuck Park Playground from a collection of aging metal swings, slide and monkey bars into this big and imaginative modern playground was made possible with the help of a $195,000 state grant. As New England’s most respected playground equipment supplier, Premier Park and Play helps towns and schools plan, design and build playgrounds for kids in age groups from toddlers to teens. We are committed to safety and accessibility by complying with ASTM, CPSC and ADAAG regulations. We offer a broad selection of eco-friendly playground equipment. Contact us today for a free site visit by a certified playground inspector!